This Papo T-Rex is primarily green in color and he matches the baby green T-Rex, sold separately. The new Papo "Running" Tyrannosaurus Rex doesn't really run, but is in a running pose. 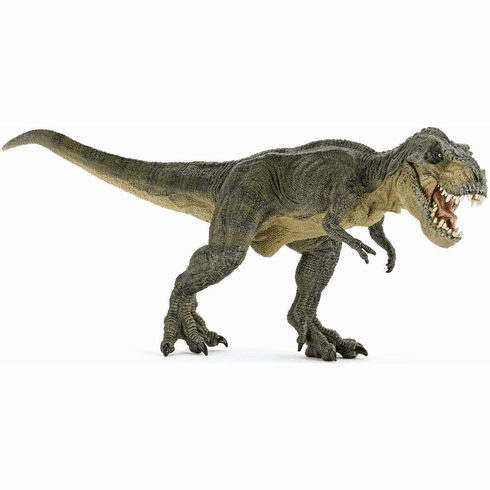 The Papo T-Rex Running measures approximately 13 inches long and stands approximately 5.5 inches tall.